In today’s society, it’s very common to have difficulty making enough money for the things you need most. But, using a few simple tricks and diligently doing these easy money saving tips below you can save money on the things you need to buy, like food. This post contains affiliate links. I might get a small commission when you purchase from this site at no extra cost to you. Please know that I only recommend products I use and trust. Budgeting money can be challenging. 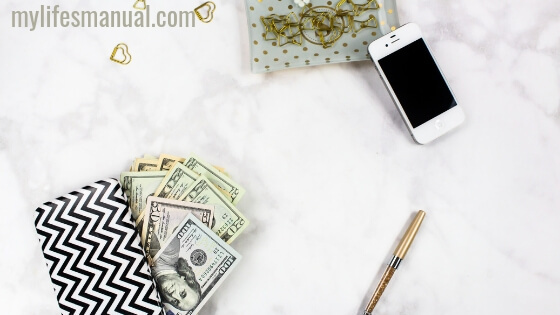 Are you trying to stretch your monthly budget? 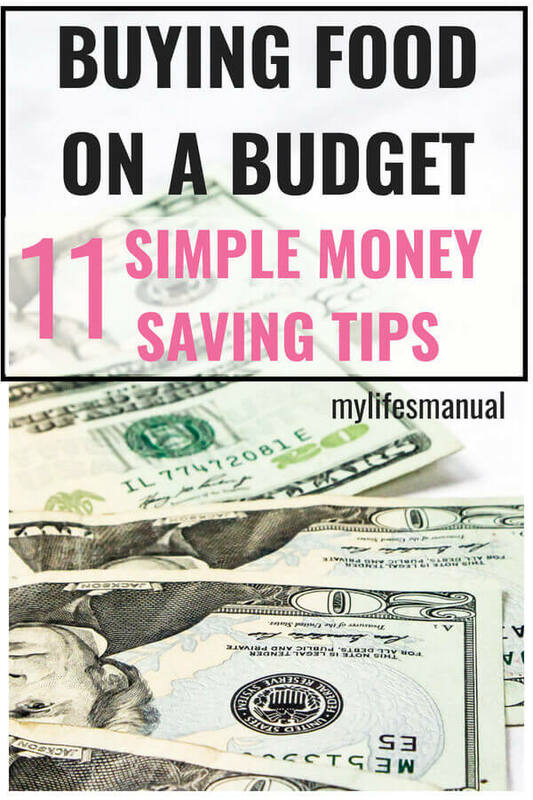 Keep this 11 Easy Money saving tips in mind and your budget will be fine. 1. Clip coupons for the things you buy. Try shopping at stores that double or even triple the value of the coupon. Buy one get one free can be a great saving, but only if you’re going to use both items before they expire. The use of coupons helps to save money in big and fast ways. 2. Join a coupon swapping organization. This type of group tends to swap items for coupons. So for example, if you have a coupon for peanut butter but you don’t need peanut butter, you can go to this group and trade someone for milk or an object you may need. 3. Create a grocery list and stick to it. Many people tend to go over budget because they see things at the store that they think they need when in actuality, it’s not needed. By having a list, it helps you to stay focused and aware of the things you need to buy and the things that you don’t. Free Budget Worksheets - to help you breakdown your expenses and savings. 10 Page Finance Tracker - to track your income and expenses. Budget Binder (70% off for a limited time) - This will help you create a budget, track your income, savings and expenses. Free Workshop - Take this free workshop if your budget needs makeover and you need help to stop overspending. 4. Don’t buy items you don’t need just because it’s a great deal. Only buy what you know you are going to use. 5. Use a Budget Binder and stick to your budget.- Record your monthly spending on food and look for ways to save based on those numbers. This will force you to become more creative with your recipes and eat healthier, more nutritious meals. 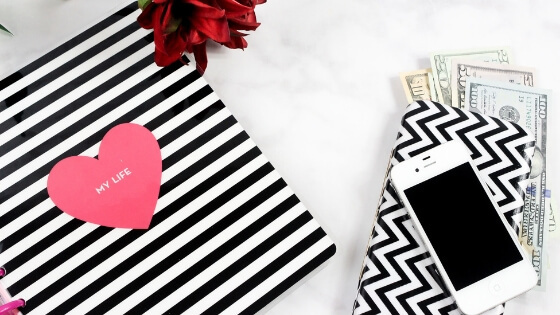 You are going to love this FREE Printable Budget Binder that you can download immediately. 6. Compare prices of different brand foods based on their weight. Bring a calculator with you to ensure your calculations are correct in figuring out which brand is the cheapest and most affordable. 7. Buy your food in bulk. Many times, buying things in higher quantities means more money saved. Buy durable things in bulk that you’ll need in the future, like paper towels, toilet paper, canned food, and beans. The Printable Money-Saving Worksheets breaks down in details how you can get the best deal in buying in bulk. You can grab the Money-Saving Worksheets here! 8. Shop for baked goods during the daytime. If you’re craving for something from a bakery, go during the day. This is when the bakers will be marking down all of their day-old food. 9. Buy store brand items. In many cases, store brand foods are a lot cheaper than those more well-known brands. 10. Avoid processed foods as much as possible. These foods are usually more expensive, and oftentimes are less nutritious. Buy inexpensive but healthy items, like oatmeal. 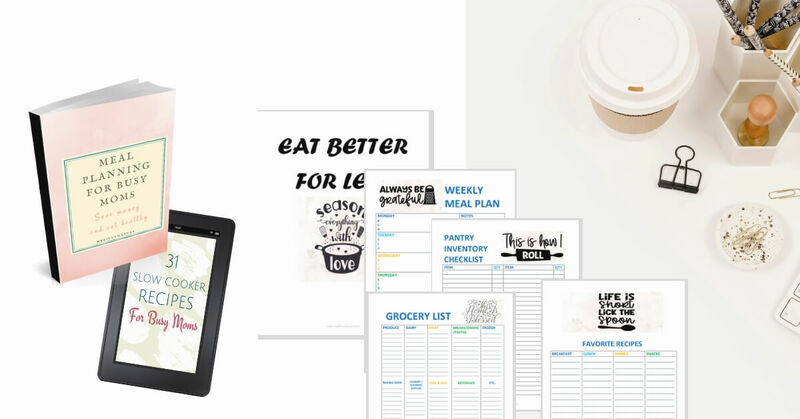 Eat better for less using the Money-Saving Worksheets that you can download here! 11. Plan out your weekly meals before going shopping. This will help you to shop for only the ingredients you need for the dinners you’re serving. Knowing how to properly shop for food is key to saving money for those other things you need. Ensure that if you are having money issues, you make some attempt to save as much money as you can wherever possible. That's how to save money on a budget. Do you have any easy money saving tips that we can add to our list? Comment it down below! If you find this post helpful, feel free to share or pin it for later. Don't forget to download your Free Weekly Meal Planning and Instant Pot Recipes here! Download the Free Budget Worksheets to help you break down and allocate budget for your expenses and savings. These are great tips! I also purchase my groceries online for pick-up so I'm not tempted to add things to my cart that I don't really need. That's a brilliant money saving tip. That should be added to the list! Thank you Alicia. thanks for sharing, in todays economy, most people are just getting by and always looking for ways to save money,these are really great tips. Thank you Roamy, money saving tips can be found everywhere. Taking action is sometimes the problem. Thanks for the great post! I could definitely stand to cut down my grocery spending! Thank you Jessica. We spend most on groceries and food. Do you use coupon? That is me without my list too. Thank you Missy! Great tips! I'm the worst at sticking to my list! I've found if I do online shopping, I can meal plan, check my pantry and freezer/fridge to make sure I'm not overbuying. It makes life so much easier, I get distracted a lot in the grocery store by "pretty" things and end up buying stuff I do not need.